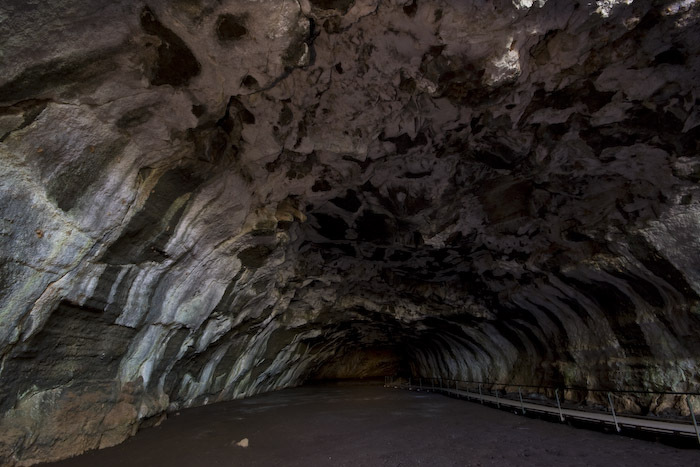 Undara Volcanic National park protects one of the largest lava tube systems on earth. The lave tubes were formed about 190,000 years ago when Mt Undara, a million year old volcano at the time, underwent a massive eruption. About 23.3 km³ of lava flowed from the volcano at an estimated rate of 1000 m³ a second. This lava flowed about over 160km to the north west and 90km to the north. The tubes were formed when these rivers of lava crusted over on the outside forming an insulated tube for the rest of the lava to flow along. Eventually the liquid lava drained out leaving behind a network of tubes. Over the years the roof of some of the tubes have collapsed to form caves and depressions. The Savannahlander stops for the night in Mt Surprise – about 30km from Undara. Due to the dangerous nature of the terrain and high carbon dioxide levels in some lava tubes access is only permitted on a guided tour. There are couple of ways for Savannahlander passengers to join a guided tour of the lava tubes. 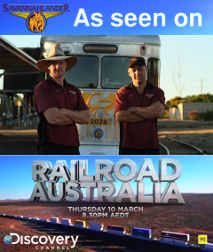 You can spend the night at Undara Experience, which borders the national park, and do a tour of the tubes with them. Alternatively, you can stay at Mt Surprise with Bedrock Village Van Park and do a tour of the lava tubes from Mt Surprise. Tours of Undara are available as an option with most packages that overnight in Mt Surprise on a Friday.